The Debates this year have been a great achievement for our Debating Club, as many of our participants are first time debaters but are showing tremendous skill and talent in the art of debating! By taking part, students a learnt the valuable skills of research and debating and Promote a deeper awareness and understanding of global issues. The confidence to speak in public is fostered at Pobalscoil as an essential part of each student’s personal development. 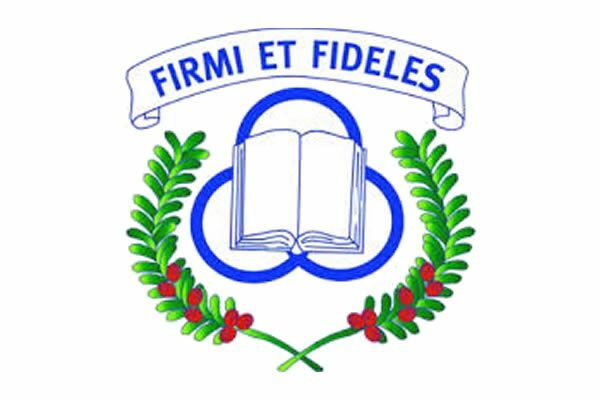 The process of argument, and the ability to adopt a variety of positions on a vast array of topics, are skills that are keenly valued in Pobalscoil. Debate promotes open-mindedness, agility in reasoning, as well as poise and coherence in speaking in public. The confidence to speak one’s mind, to argue a case, and to do so compellingly, are skills that Debating students carry with them through life. The Debating Society is run by students, for students, overseen with the support of teachers in the English Department. Senior Debaters induct and mentor Junior Debaters and new-comers. 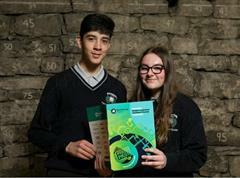 Competitions include in-house debates, The Cork City Schools Debating Competition (Junior and Senoir), and The Concern Debates. The Senior debaters this year took part in the annual Concern Debating Competition. They competed in four rounds in which they proposed and opposed topical motions regarding Europe, the developed and the developing world. 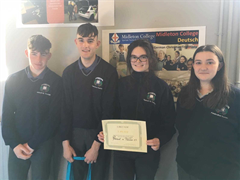 The team was made up of Caitlyn Ní Orsaigh, Jake Motherway, Colm Breslin, Nadia Senoici, Dylan Ó Luasaigh, Eimeair Gaffney, Mathew Twohig and Sean Owens. 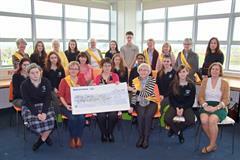 This past year has been an extremely busy and successful year for the Debating society of Pobalscoil na Trionóide. Under the guidance of Mr Ó Réagáin, Ms Cusack and Ms Donaghue, we have dedicated every Friday Lunchtime to honing our skills as debaters. This year, we saw the introduction of official positions for the senior members of the society and we welcomed many new members. Under the guidance of Mr O Réagáin and Ms Cusack the students have been fantastic representatives of Pobalscoil na Trionóide. The Debating Club is now open to any student who is interested and willing to make a commitment to the club. The following is a synopsis of the great work done this year.